When: June 8th Championships, Doors open at 5:45 P.M.
Portland, OR (June 8, 2013) – Rose City Rollers are proud and excited to award their 3rd Quarterly Community Outreach Partner Big Brothers Big Sisters Columbia Northwest with a thousand dollar donation and reserved guest seating at the upcoming League Championship Bout. Thousands of loyal fans and local community members will show up to cheer on their favorite teams and players in a passionate display of sportsmanship and team spirit. The fighting spirit of this amazing sport will be displayed and demonstrated with exceptional skill and fervor for the entire Portland community to observe and partake in. BBBS Sports Buddies sets up a mentor with a Little Brother or Sister to participate in a wide array of healthy physical activities including sports events. Visit BBBS at http://www.bbbsnorthwest.org/site/c.5nICIMOmG8IQE/b.6874129/k.B009/FAQs.htm#H7 to find out how you can get involved with the Sports Buddies program. RCR is a community minded organization, committed to cultivating and investing in the Portland community and providing life changing athletic opportunities. To build our partnership and enrich our investment in the Portland community, each quarter RCR donates to a different, local non-proﬁt organization. Each quarterly partner receives a thousand dollars in cash, a banner displayed at RCR events, booth and in-arena announcements at an RCR bout to generate awareness and increase participation in their organization, a half page ad in our bout program, and inclusion in the RCR monthly newsletter that coincides with the month in which they are featured. RCR also promotes the charity on wwww.rosecityrollers.com as our Quarterly Community Outreach Partner. We are proud to support The Big Brothers Big Sisters, whose mission is “to provide children experiencing adversity with strong and enduring, professionally supported one-to-one relationships that change their lives for the better, forever.” They have remarkable success in improving children’s lives, notably in academic confidence, family relationships, and a vital reduction in truancy and drug and alcohol use among program participants.  About the Rose City Rollers: The Rose City Rollers encourage and develop women of attitude, athleticism and passion to play an exciting, hard-hitting sport of speed, skill and teamwork. A founding member of the Women’s Flat Track Derby Association, and one of the pioneers in the rebirth of roller derby, RCR leads the way in fostering its growth and success. The league’s goals are: to serve our community by empowering women and girls, to provide entertainment for our fans, and to support charitable causes. We are a 501(c)(3) non-proﬁt organization, incorporated in 2004.